HelpLine » April is Sexual Assault Awareness Month – GET INVOLVED! April is Sexual Assault Awareness Month (SAAM) – JOIN US and GET INVOLVED. 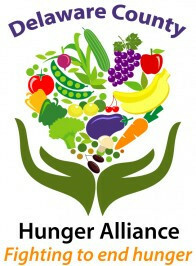 Check out the events we have scheduled throughout the month for awareness, healing and advocacy. Questions? Email violenceprevention@helplinedelmor.org. We are excited to partner with the Start By Believing – www.startbybelieving.org for this year’s Sexual Assault Awareness Month campaign – check out their organization CLICK HERE. Join OAESV, advocates, survivors, and citizens from across Ohio at our 4th Annual Advocacy Day to End Sexual Violence on Wednesday, May 11, 2016! Meet with legislators to discuss what’s important to you about preventing and responding to sexual violence in your community and statewide! Advocacy Day is a signature event from OAESV, and is consistently an incredibly empowering, fulfilling event as reported by those who participate. Don’t miss it! 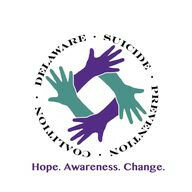 On April 15, youth in Delaware will be participating in the Day of Silence in their schools. Bullying and harassment are major problems for lesbian, gay, bisexual transgender, and questioning students. On this day, students across the state and nationally will recognize the Day of Silence. The Day of Silence, a project of the Gay, Lesbian and Straight Education Network (GLSEN), is a student-led movement where those who support making anti-LGBTQ bias unacceptable in schools take a day-long vow of silence to recognize and protest the discrimination and harassment experienced by LGBTQ students. This workshop led by Debbie Rae Tripplett is a free event for female survivors of violence. A special time when girls and the women in their lives can discuss puberty, technology, and healthy relationships. Pizza will be served! Presented by Marion General Hospital Forensic Nurses. Questions call 740.383.8677. Panel Discussion sponsored by Turning Point on domestic violence and effectively helping survivors and their family and friends. Discussion is free and open to the public. Questions email: srowe@turningpoint6.org. Continuing education credits for social workers and counselors have been sought. Registration is free. This conference is open to Advocates, Law Enforcement, Prosecutors, SANE’s and other service providers working with victims of interpersonal violence in Ohio. This international event has men gather to walk one mile through town in women’s shoes to raise awareness about sexual assault and demonstrate their support of those affected by it. 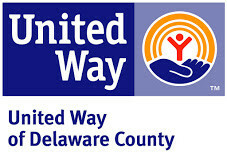 Sponsored by the Delaware County Coalition of Victim Services. Questions contact: nflanagan@helplinedelmor.org.